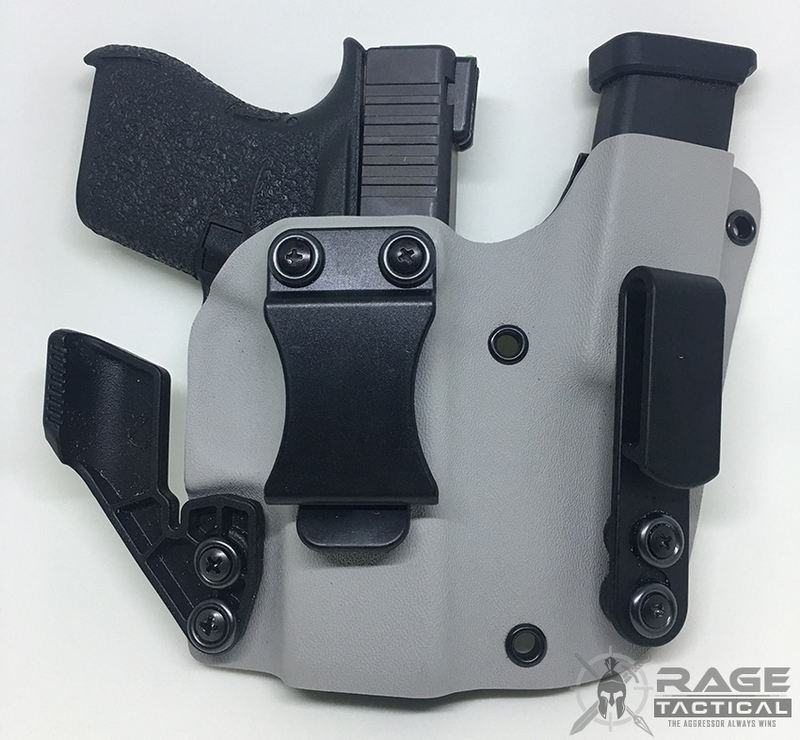 This holster is the most convenient way to conceal carry a firearm. Period. Grab one rig and it's all there... Handgun, spare mag, RCS Concealment Wing to make sure it stays hidden. 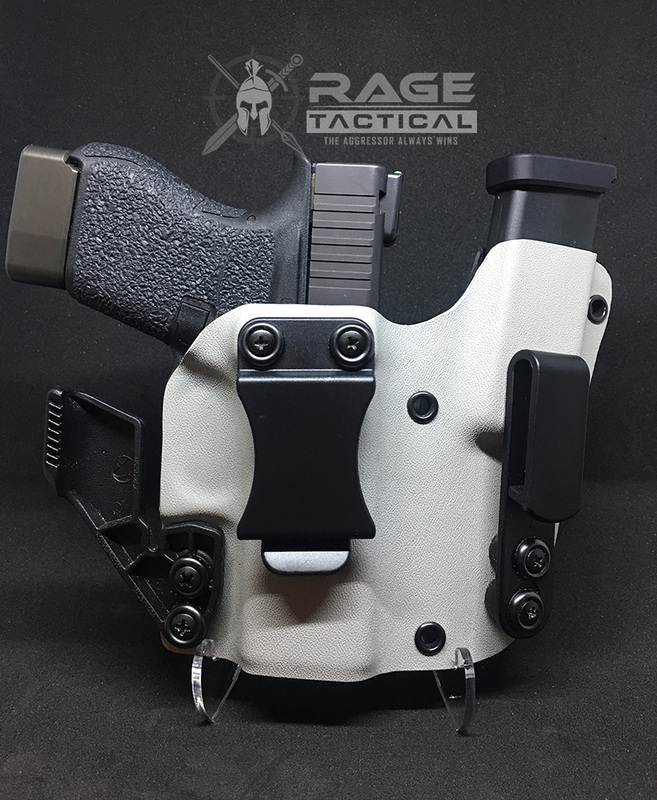 Our Wingman Rig- Appendix Carry Inside the Waistband (IWB) holster provides the right balance of retention, comfort, concealability, and accessibility (draw speed). 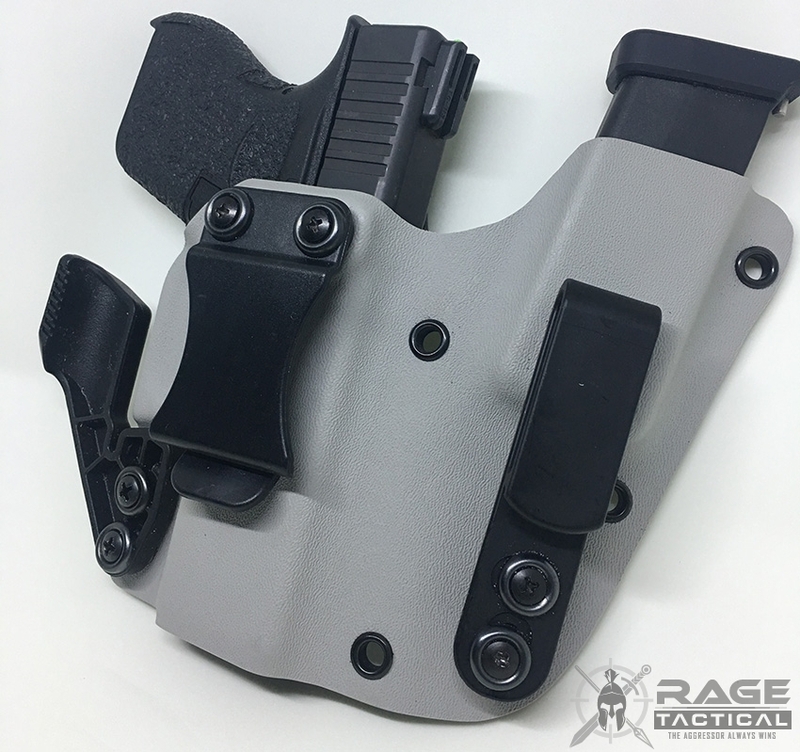 It comes with all of the great features of our Standard Holster, with the addition of a fully-functional sweat guard as well as adjustable retention. Our Appendicitis holster also comes with a FOMI Clip in either 1.5" (standard) or 1.75" (larger belts) belt widths. 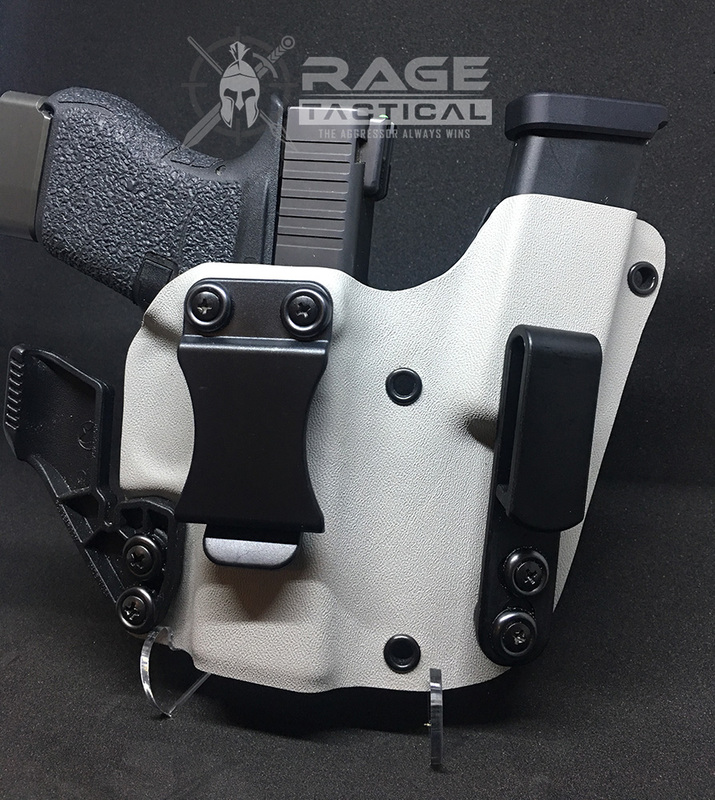 All of our holsters are made out of .080" kydex to ensure great definition, excellent retention, and unlimited durability. For additional concealment, we have added the RCS (Raven Concealment Systems) Claw to this rig. The claw is an easy-to-use attachment which attaches to your holster and then pushes against the back of the belt. The reason for this is to use the belt's natural tendency to pull into your body in order to pull the grip frame of the gun closer to you. This draws the weapon closer into your body for additional concealability and retention. Most malfunctions are caused by the magazine. Having a spare mag available allows you to clear a malfunction in your gun without re-introducing the likely cause of the problem back into the gun.